Amazon.com description: Product Description: Social media penetrate our lives: Facebook, YouTube, Twitter and many other platforms define daily habits of communication and creative production. 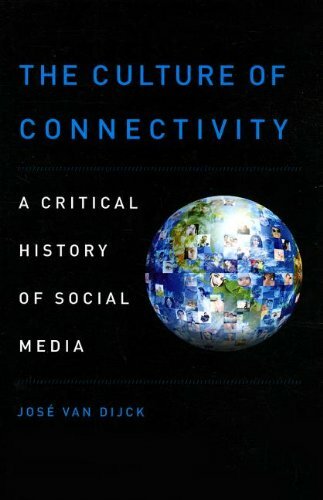 This book studies the rise of social media, providing both a historical and a critical analysis of the emergence of major platforms in the context of a rapidly changing ecosystem of connective media. Author JosÃ© van Dijck offers an analytical prism that can be used to view techno-cultural as well as socio-economic aspects of this transformation as well as to examine shared ideological principles between major social media platforms. This fascinating study will appeal to all readers interested in social media. About: Social media penetrate our lives: Facebook, YouTube, Twitter and many other platforms define daily habits of communication and creative production.